Welcome to the second entry of this blog. This time we'll change the era and we'll speak of a 16th century set, the Zvezda Zaporozhian Cossacks. Box art is good and absolutely shows everything you get (11 poses), which is very welcome in this world of box arts that show you great figures that you never get. The quality of the drawing is very high as in all Zvezda boxes. 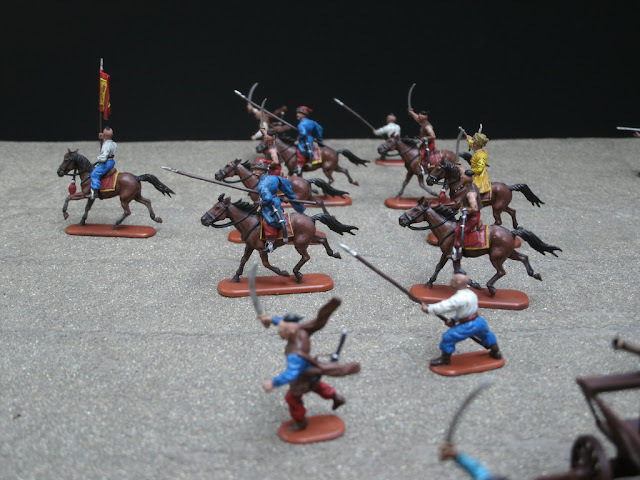 And also as usual in Zvezda, on the back we find a clear picture of everything given, and superbly painted, that functions as a great guide when it comes to painting. Nothing to complain about here. 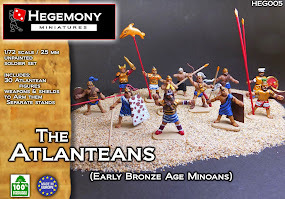 The detail could be a bit sharper everywhere, it´s kind of a bit "diffuse", if compared to other manufacturers such as Caesar Miniatures, but everything is well done. 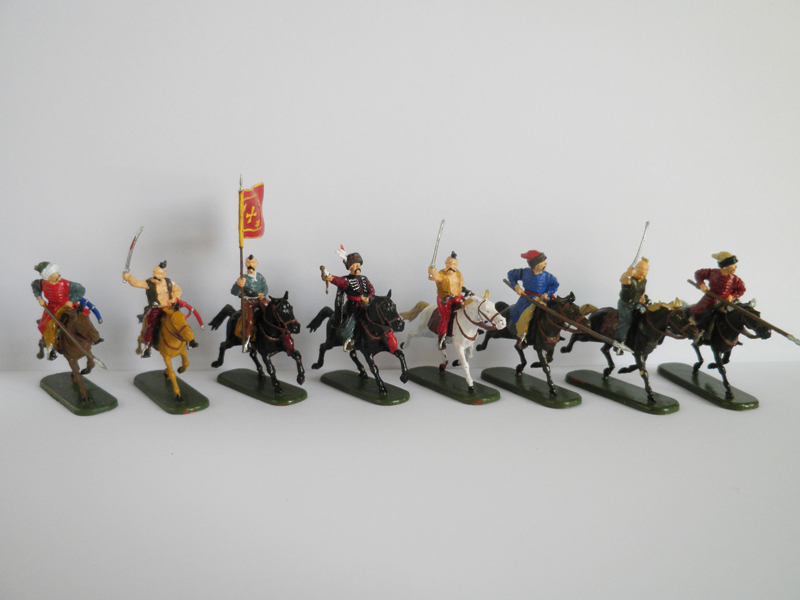 About the height, they are a bit taller than they should be for 1/72, but it´s not very important. 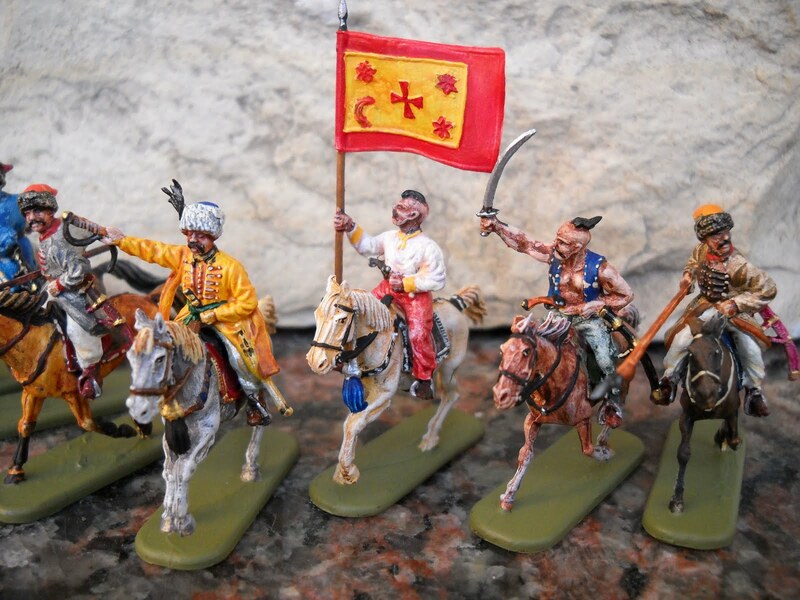 What is a bit worse, is that the mounted figures are as tall as the dismounted figures, this in the same set, which is a bit of common problem in Zvezda, where all cavalrymen seem bigger than the foot soldiers. 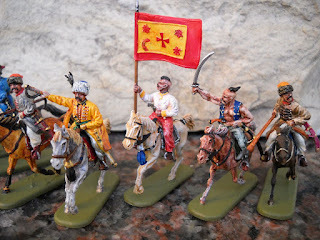 This set shows that it is supposed to cover from the 16th to the 18th century, this is maybe stretching it a bit ; they are better used as 17th century. Maybe we are missing a bit more firearm weapons, but as it is a set that stretches across 3 centuries this is acceptable. 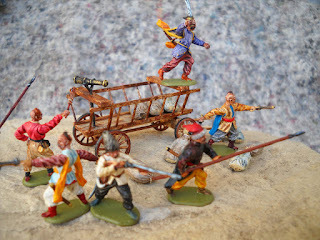 The cannon on the wagon would have to be subjected in a more sturdy way; it seems that it could snap with a single shot. Besides this, I see a very good historical accuracy. 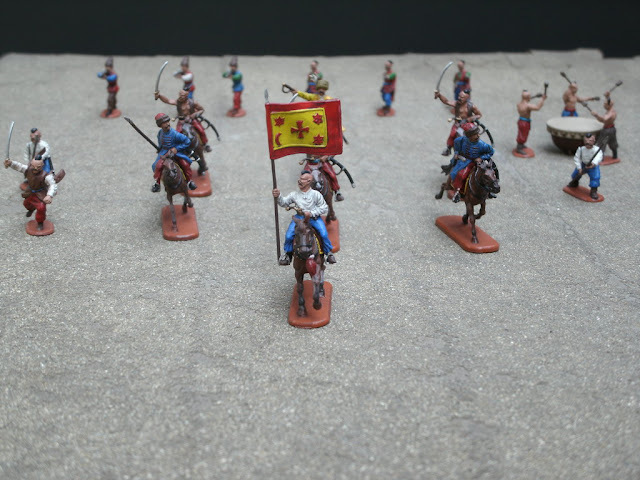 They don´t score too highly in this aspect, as their clothes, weapons and haircut limits their use to just what they are, Cossacks, although they could pass for some other nomadic tribe of the same time era, like the Astrakhan Khanate, or Kazan peoples. The cavalrymen with the lance doesn't have anything that identifies him specially as a Cossack, and could be really a russian soldier of the same era. 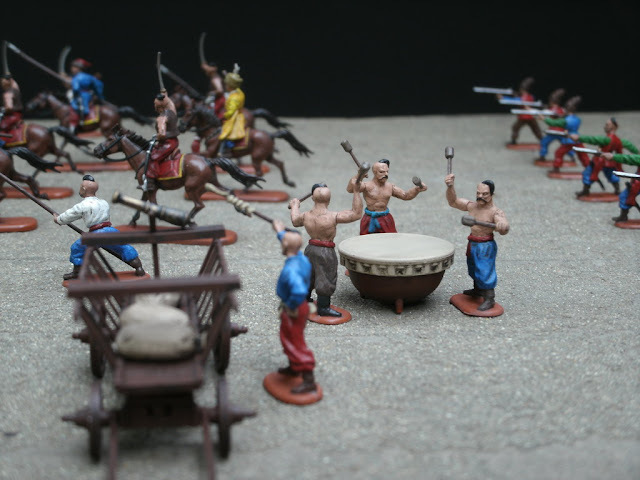 Making so bellicose a tribe as the cossacks means they need to have aggressive and combative poses, and these are well made here. We don´t get any "I am just passing by" pose, nor "I don´t know what to do now" pose. The only lack here is, first, we could have a few more poses, although thanks to removable arms you can modify slightly each pose and give them a bit more life. The big drum is something very nice and appreciated. The three drummers maybe are too many, one or two would have been probably enough. We are given, as always, 3 unique figures, which is hugely appreciated. Also we are given 9 sacks, probably of gunpowder, or maybe some smuggled goods. It is a very nice touch to fill the wagon up a bit. The wagon with cannon is also a very fun addition, this will give plenty of life for the dioramas and the like. 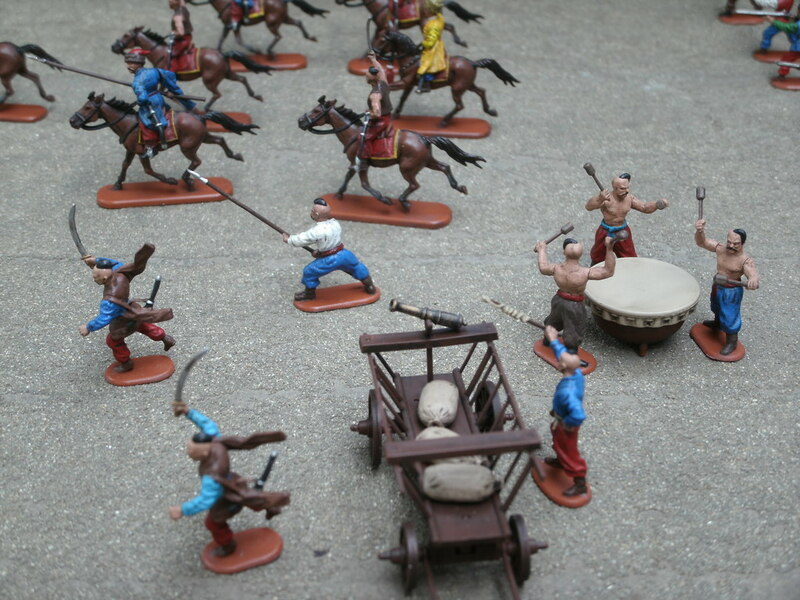 Curiously we are not given horses to attach, so we'll have to draw them from another set, but it is not really a problem if you have a good range of other sets. Wargaming value here is not very big, as we know Zvezda tries to give you a bit of everything and you end up with few figures, so you would have to buy another set or use it along with the Orion Ukrainian Cossacks.For a wargamer maybe you'll prefer the Orion Cossacks, which are more standard and better, but you would have to also purchase their cavalry then to have a full army. 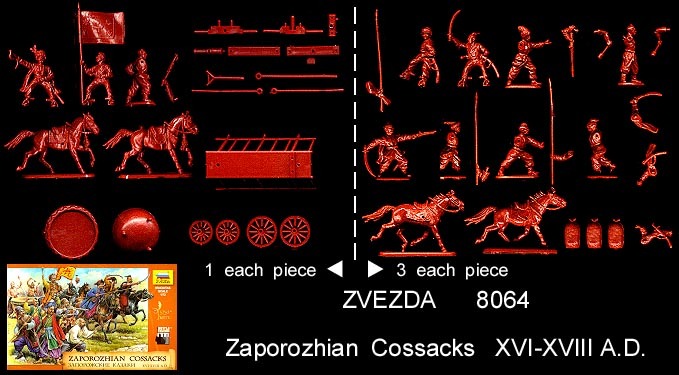 All the same Zvezda gives you the musicians and flagbearer which Orion doesn't have. The average eBay price is 12 €. I was lucky to get mine from a retail shop for just 6,50 €, so that was a great price. 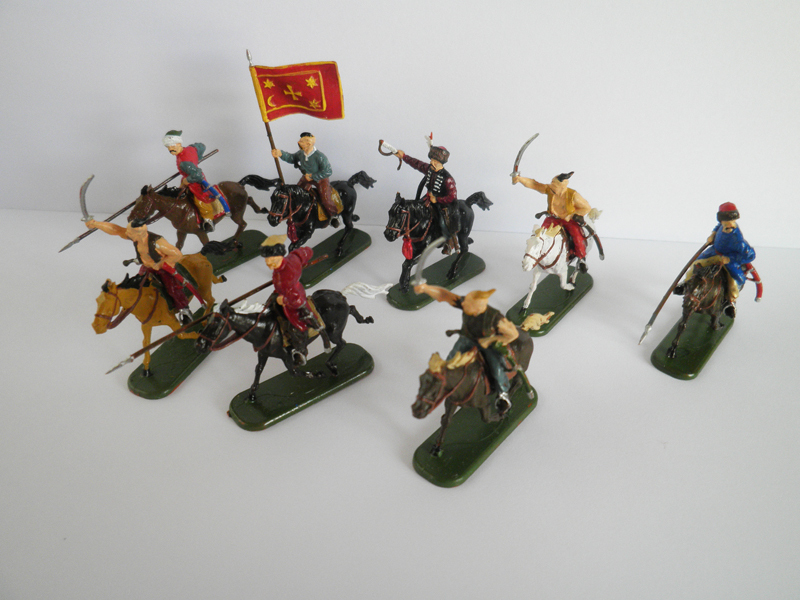 12 € might seem a bit steep, but you are given 8 cavalry figures, 19 infantrymen and one wagon, and many brands will take 10 € just for 12 cavalrymen, so it´s not too bad. They are made with the typical Zvezda plastic, which is quite bad to glue and worse to paint, always very slippery. If you dont apply a good primer, you´ll have to apply two or three coats of paint. About glueing, fortunately everything fits so well that glue is hardly needed. It is in overall a very nice set, and as with 99 % of Zvezda sets, worth having. 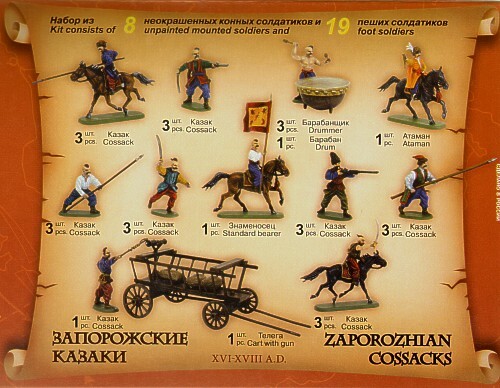 If you are a true Cossack enthusiast, this is a must. 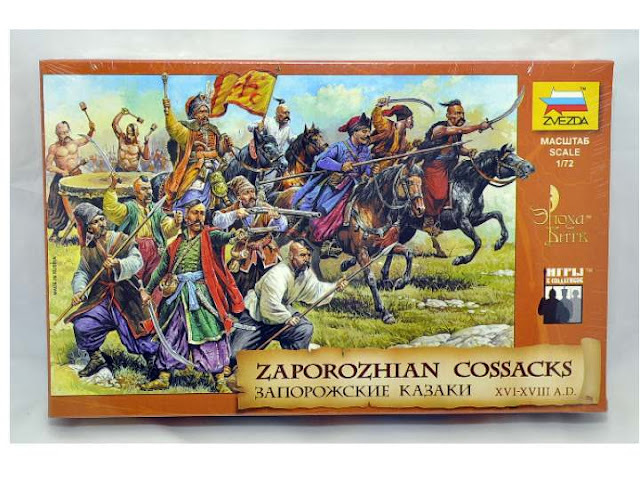 If you want to have a nice representation of the Cossacks, this is also a must. 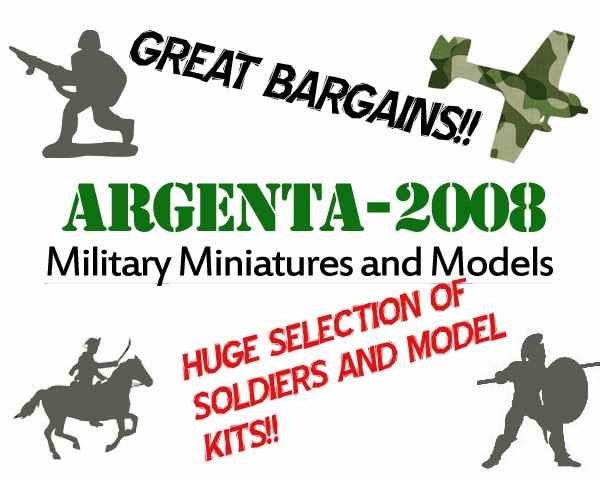 Either way, it will probably be a good purchase, even if the Orion infantry and cavalry sets are quite nice too. 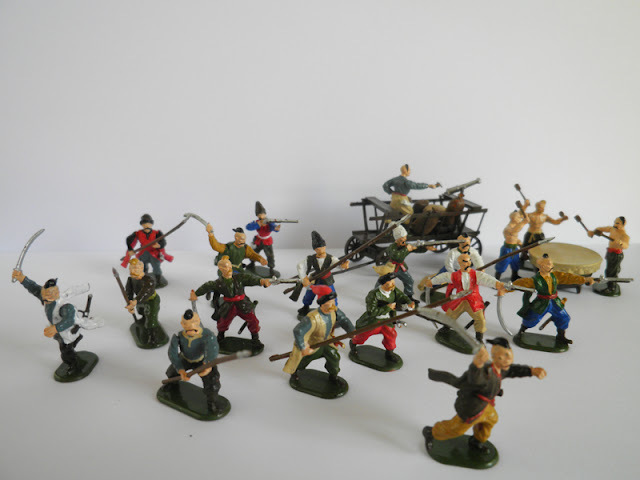 I am not specially a follower of this era, my main interests being pre-16th century and WWII, but these were so nice and they just asked to be bought. 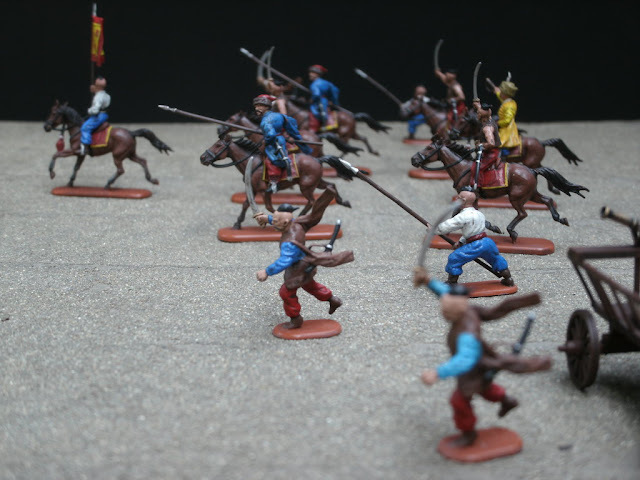 Thanks to Miniaturas Aconcagua, we can show you yet another great way of painting them! Excellent blog idea. Hope to see more reviews. Lancers couldn't be used as Russians. They're clearly Ukrainian ZAPOROZHIAN cossacks. 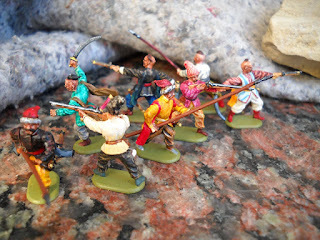 They have scalp locks, Russians/russian cossacks didn't wear scalp locks. Don't see how they would work for the Astrakhan Khanate either, maybe for this reason. Other than that though, good article.